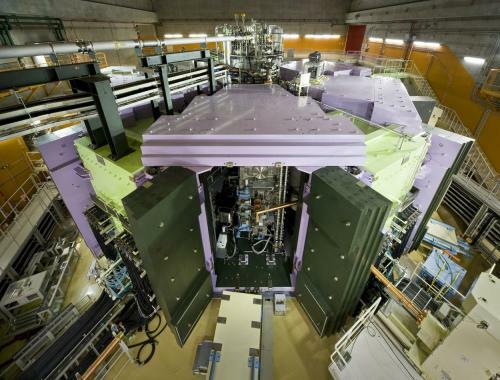 A rare nuclear reaction that occurs in red giants has been observed for the first time at the Gran Sasso National Laboratory in Italy. This result was achieved by the LUNA experiment, the world’s only accelerator facility running deep underground. 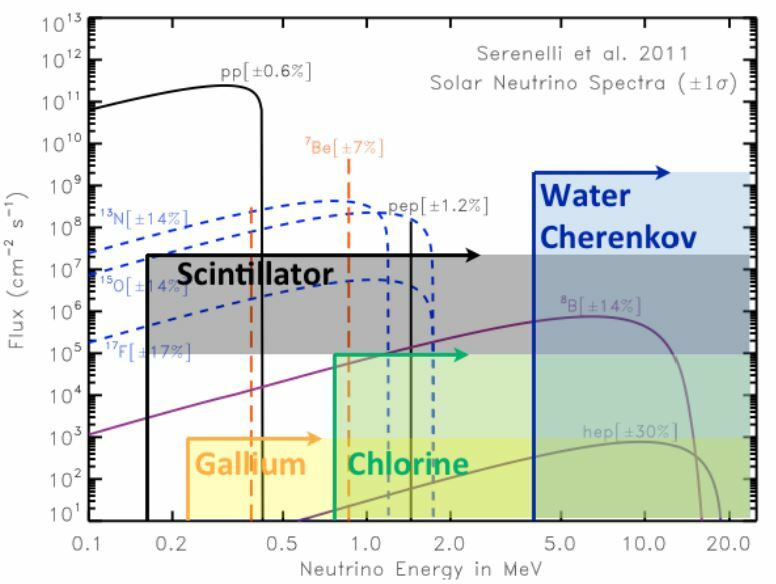 For the first time, this experiment has observed three “resonances” in the neon-sodium cycle responsible for sodium production in red giants and energy generation (the 22Ne(p,g)23Na. In the same way as in acoustics, a “resonance” is a particular condition that makes the reaction inside the star extremely likely. LUNA recreates the energy ranges of nuclear reactions and, with its accelerator, goes back in time to one hundred million years after the Big Bang, to the formation of the first stars and the start of those processes that gave rise to mysteries we still do not fully understand, such as the huge variety in the quantities of the elements in the universe. “This result is an important piece in the puzzle of the origin of the elements in the universe, which the experiment has been studying for the last 25 years”, remarked Paolo Prati, spokesperson for the LUNA experiment. “Stars generate energy and at the same time assemble atoms through a complex system of nuclear reactions. A very small number of these reactions have been studied in the conditions under which they occur inside stars, and a large proportion of those few cases have been observed with this accelerator”. Physicists have obtained important new evidence showing that the structure of the carbon-12 nucleus – without which there would be no life here on Earth – resembles that of an equilateral triangle. The evidence was obtained by physicists in the UK, Mexico and the US by measuring a new rapidly spinning rotational state of the nucleus. The finding suggests that the “Hoyle state” of carbon-12, which plays an important role in the creation of carbon in red giant stars, has the same shape too. Recent theoretical predictions, in contrast, had suggested that the Hoyle state is more like an obtuse triangle or “bent arm”. All the carbon in the universe is created in red giant stars by two alpha particles (helium-4 nuclei) fusing to create a short-lived beryllium-8 nucleus, which then captures a third alpha particle to form carbon-12. But exactly how this reaction occurs initially puzzled physicists, whose early understanding of carbon-12 suggested that it would proceed much too slowly to account for the known abundance of carbon in the universe. Then in 1954 the British astronomer Fred Hoyle predicted that carbon-12 had a hitherto unknown excited state – now dubbed the Hoyle state – which boosts the rate of carbon-12 production. 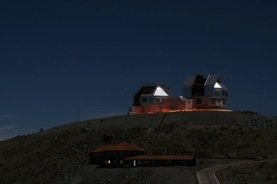 The Magellan Telescopes at Las Campanas Observatory in Chile targeted stars in the Segue 1 dwarf galaxy for between 6 and 15 hours each to measure their metal content. Complex elements are forged inside the cores of stars by the nuclear fusion of more basic elements such as hydrogen and helium atoms. When stars explode in supernovae, even heavier atoms are created. elements spew into space to infuse the gas that births the next generation of stars, so that each successive generation contains more and more heavy elements, known as metals. “Segue 1 is so ridiculously metal-poor that we suspect at least a couple of the stars are direct descendants of the first stars ever to blow up in the universe,” says study co-author Evan Kirby of the University of California, Irvine. The case is not closed, however. Bullock, one of the main authors of the reionization idea, says the latest theoretical simulations of galaxy formation suggest the shutdown caused by reionization looks to be less sudden than scientists previously thought. “It’s not obvious to me that reionization by itself could have done this,” he says. “Maybe, but I definitely think there are other possibilities.” For instance, perhaps some quirk has caused Segue 1 to be incredibly inefficient at forming stars compared with other galaxies. Segue 1 may help reveal not just what halts galaxy evolution, but how it gets started as well. “This study is so interesting because I really want to know, can galaxies form this small?” says astronomer Beth Willman of Haverford College, who was not involved in the research. “Can galaxies form and look like Segue 1 when they form or do they have to form larger and then have some mass taken away?” It is possible, after all, that this dwarf was once a much larger galaxy and lost most of its stars, perhaps through disruptions from its close neighbor, the Milky Way. The extremely low metal counts in Segue 1’s stars, however, support the idea that it formed roughly the same size it is now, because disruptions would be unlikely to pull only the metal-rich stars from the galaxy, leaving behind the metal-poor. The protons and neutrons inside the atomic nucleus exhibit shell structures in a manner similar to electrons in an atom. For naturally stable nuclei, these nuclear shells fill completely when the number of protons or the number of neutrons is equal to the ‘magic’ numbers 2, 8, 20, 28, 50, 82 or 126. In their experiment, a radioactive beam composed of scandium-55 and titanium-56 nuclei travelling at around 60% of the speed of light, was selected and purified by the BigRIPS fragment separator, part of the RIBF. The radioactive beam was focused on a reaction target made of beryllium. Inside this target, projectile fragmentation of the 55Sc and 56Ti nuclei occurred, creating numerous new radioactive nuclei, some in excited states. The researchers measured the energy of the ? rays emitted from excited states of the radioactive nuclei using an array of 186 detectors surrounding the reaction target…..